It's a busy day here on peanutfreebaseball.com! This also just came to my attention, thanks to @AllerDine--the Toronto Blue Jays have announced a few peanut controlled games: May 28, July 24, and August 10! This just in from AAFA (NE)! "We are pleased to again be working with our "home teams" to accommodate families with peanut allergies this season. 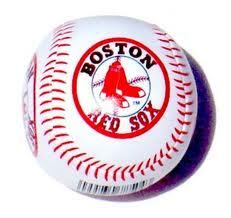 The Boston Red Sox has announced that there will be a peanut allergy section at the game onSunday, August 26th versus the Kansas City Royals. Game time is 1:35pm. The seats for the game on August 26th will be on the Coca-Cola Deck. The ticket prices for the Coca-Cola Deck are $75 for seating and $30 for standing room only. Tickets for other games which will have a peanut allergy section will go on sale as the dates become available. The main peanut allergy section this year will be the Cumberland Farms Deck in right field. Ticket prices for the Cumberland Farms Deck will be $50 for seating and $30 for standing room only. The Red Sox continue to offer Booth F as a peanut-allergy-friendly section during select games. Booth F is in an enclosed space on the media level, which can hold up to 6 people per game. Each space in booth F is priced at $55. Booth F is often preferred by families who have children with more severe peanut allergies. To purchase tickets to the Aug 26th peanut allergy section, get updated information about other dates, or learn more about the availability of Booth F, call a Fenway Ambassador at 617-226-6831 (Monday – Friday, 9am - 5pm)." The Thursday, August 23, 2012, Reading Phillies' game against the Erie SeaWolves will be a Food Allergy Awareness Peanut Free Game. For ticket information, click here. If you view the promotional schedule and click on the listing for August 23, the below description pops up. I have copied and pasted it for your convenience. Thank you to the Anaphylaxis and Food Allergy Association of Minnesota for the below information. 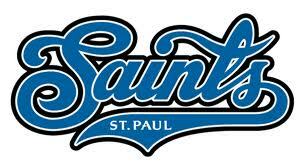 The AFAA (MN) and the Saint Paul Saints have planned a peanut-free game for Mother's Day, May 13, 2012. The game is against the Winnipeg Goldeyes and starts at 1:05 PM. Tickets are $12 (ticket only) or $17 for a package which includes a ticket, a hot dog, soda, and hat. Click here for the game flyer. Thank you to the Detroit Tigers for the following information! Tickets are $40 each, maximum of 4 tickets. Game Dates Available: 4/22 Sunday vs. Texas Rangers 5/20 Sunday vs. Pittsburgh Pirates To purchase your tickets please respond via email, at corey.bellATdetroittigersDOTcom. You will be contacted to confirm your request. Due to popular demand, tickets cannot be held without payment. Limited inventory is available. REMINDER: TICKETS ARE LOCATED IN A SUITE, SO YOU ARE SHARING THE SPACE WITH OTHER FAMILIES. YOU ARE NOT GUARANTEED A SEAT ON THE BALCONY BUT PLEASE BE MINDFUL TO SHARE THE SPACE IN THE SUITE, INSIDE AND OUT. "A Peanut Allergy Suite is available for select games. This suite on the Oriole Park Club Level will be cleaned thoroughly before each game and reserved specifically for those fans and their guests with a peanut allergy. Tickets are $22 per person and sold on a first-come, first-served basis, with a limit of six tickets per order. While there is no area in the ballpark entirely free from the possibility of peanuts or peanut dust, this suite provides an environment best suited for those fans with allergies. All fans and/or their parents will be required to sign a release form upon purchasing tickets. The Oriole Park Peanut Allergy Suite is available on Tuesday, June 12 vs. Pittsburgh; Friday, July 13 vs. Detroit; Monday, August 6 vs. Seattle; and Friday, August 24 vs. Toronto. Tickets for this suite are available via phone order only at 888-848-BIRD." This info comes to us from Andria DiNonno Youngberg. Thank you, Andria! This is the 10th year (WOW!!!) that North Carolina FACES (Food Allergic Children Excelling Safely) has teamed up with the Durham Bulls for a peanut/tree nut free zone during a game. 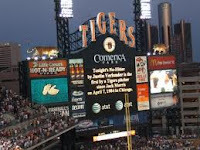 This year's game is scheduled for May 20, 2012 at 5 pm. Tickets are $9 and seating is limited to approximately 100 tickets. For additional information, please email infoATncfaces.org. Peanut-Controlled Games Milwaukee Brewers 2012 - 2 More Games Added! The three peanut-controlled games originally announced in January 2012 have sold out, so the Brewers have added two more dates--Friday June 1 versus the Pirates and Monday September 10 versus the Braves! Thanks to Sheree Godwin for the heads-up on this exciting info! Click here to order tickets. According to the Brewers' website, "Space is limited to accommodate approximately 100 people in this area for each of these three games. The peanut-controlled area seating will be in Club Outfield sections 306 and 307. Tickets prices are $38 per ticket plus applicable service fees; limit six tickets per order. A Brewers sales representative will be in contact to complete the order. Tickets will need to be picked up at Will Call, and all fans in the area will be required to sign a waiver." Thanks to Cheri Golub and Barbara Bento for this exciting info about the peanut-controlled suite for 2 New York Yankees games this season!!! The dates are April 19 and May 13! "The Yankees will be providing a peanut-controlled suite this season on 2 separate dates so far this season, possibly more to come. 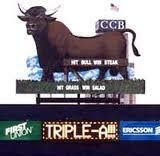 The first is Thursday, April 19, 7:05 game, the second Sunday May 13, 1:05 pm game. The cost is $100 per ticket to include: a party suite.., with a peanut-safe buffet including hot dogs, chicken, and various other ballpark food/snacks, beverages, and they even served dessert! The service was outstanding! There are emergency personnel nearby just in case. If you're interested, please contact Carol or Aaron at disabledservices@yankees.com, or (718)579-4510. They do require a signed waiver..."
The big news today is an article in the New York Post entitled We Shell Overcome! We are still waiting for more info and will share it here as soon as it is available. According to the article, "This year’s first peanut-free day at Citifield is May 6, held in the Empire Suites — 63 luxury seats in a climate-controlled living room just above field level. Tickets are $93 and include non-alcoholic drinks, allergy-friendly food (popcorn, pasta salad, hot dogs and French fries not cooked in peanut oil) and a visit from Mr. Met. (For tickets, call group sales at 718-559-3020.)" Information about the Yankees peanut allergy friendly games has not been released yet. Stay tuned! 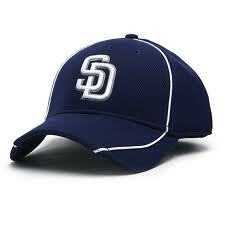 The San Diego Food Allergy Support Group recently notified me of the San Diego Padres' Peanut Free Day on June 3, 2012. 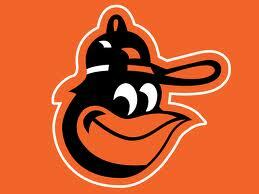 The game is versus the Arizona Diamondbacks and starts at 3:35 PM. Tickets may be purchased online with the promo code PEANUT. Thanks to the San Diego Food Allergy Support Group!